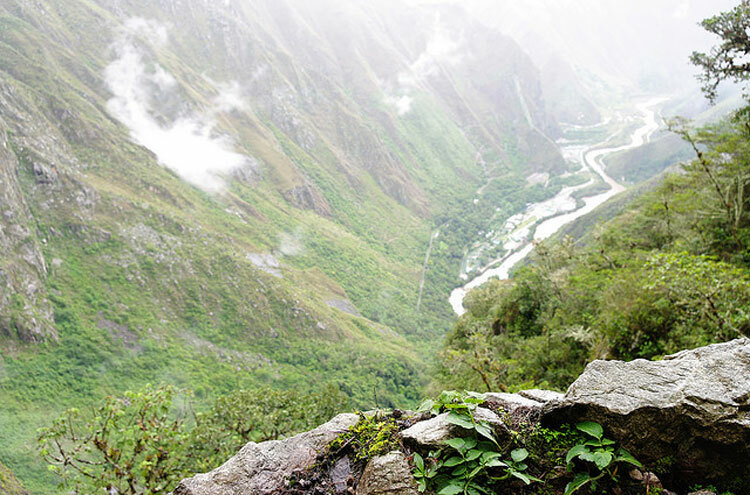 Hike the famous Classic Inca Trail to Machu Picchu, or various less famous and crowded and arguably preferable alternatives. Spectacular walking on ancient routes through the beautiful high Andes. 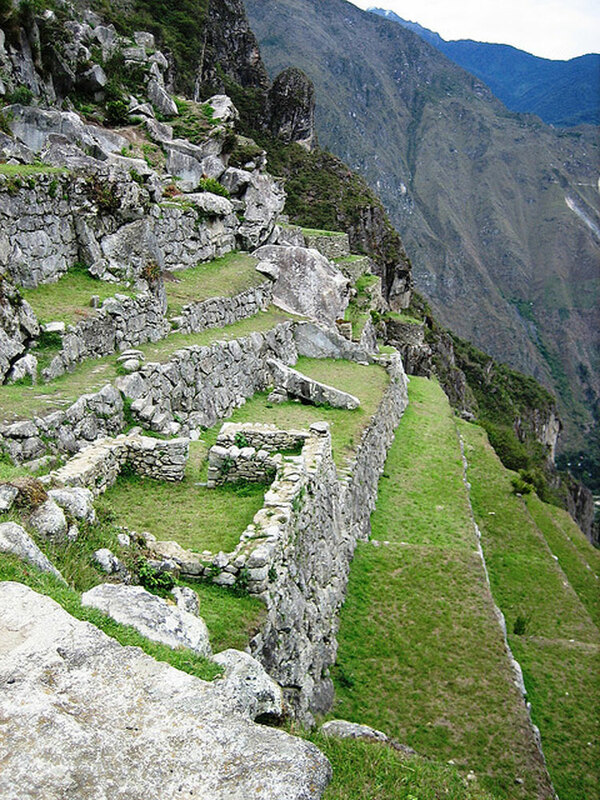 Truly amazing "lost" Inca cities at the end. 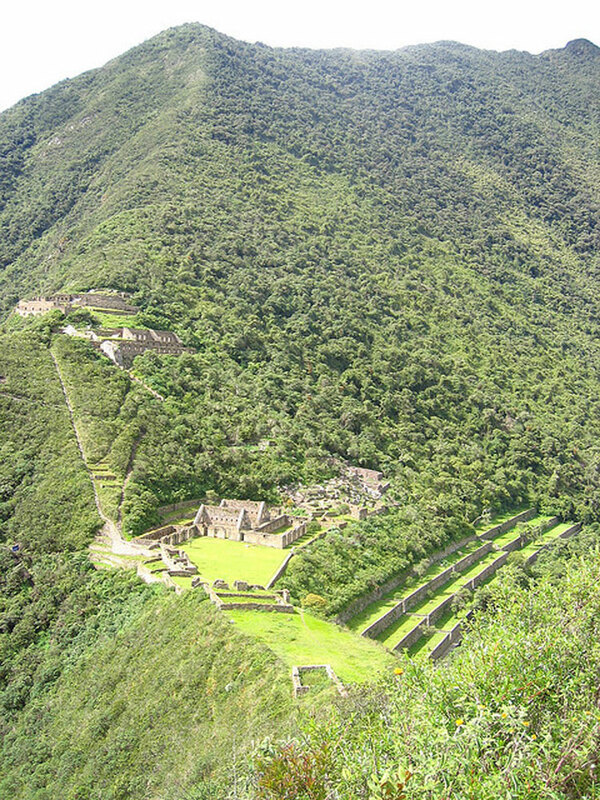 Machu Picchu is now painfully crowded and has lost some magic: its alternative, Choquequirao, is more remote and very special, although the walk to it is longer and tougher. Beautiful mountain scenery, colourful indigenous people, history and tragic romance: these walks have it all. These are tough walks in high, remote mountains, on which you will have to be self sufficient and where altitude can cause real problems. Come prepared. 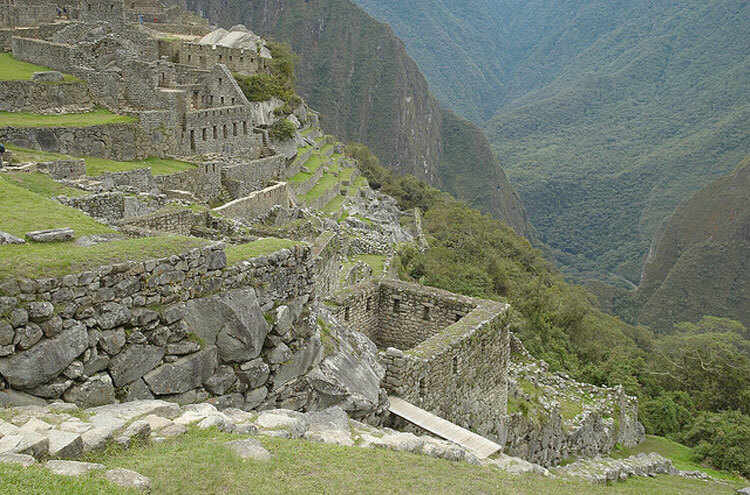 Note: Negs: altitude; popularity and crowding at Machu Picchu. Maximum Altitude: Very high. Classic Trail is 4,200m. 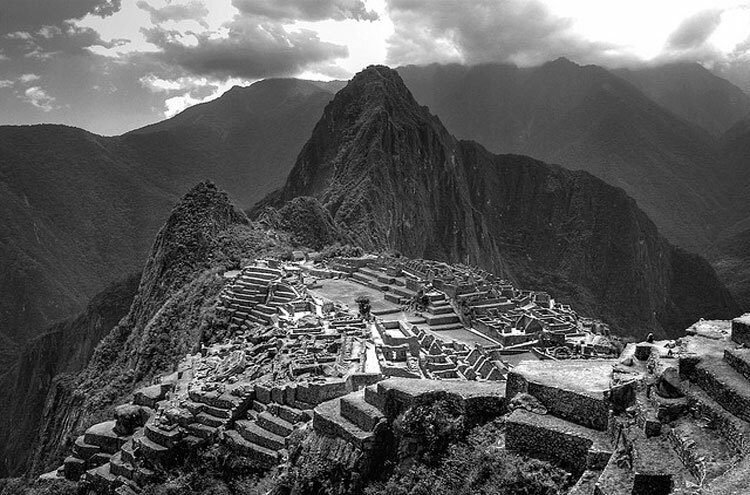 The Inca civilization may have been mysterious, illiterate and short-lived (1300s to 1525), but its dominion was huge while it lasted, stretching some 5,500km north to south, and it left a remarkable legacy of stone temples, forts, palaces, cities, terraces and roads, sculpture, magnificent textiles and metalwork. Their road system - some 33,000km of it - ran, famously, throughout their mountain empire, and traces can be found as far afield as Chile's Atacama Desert. 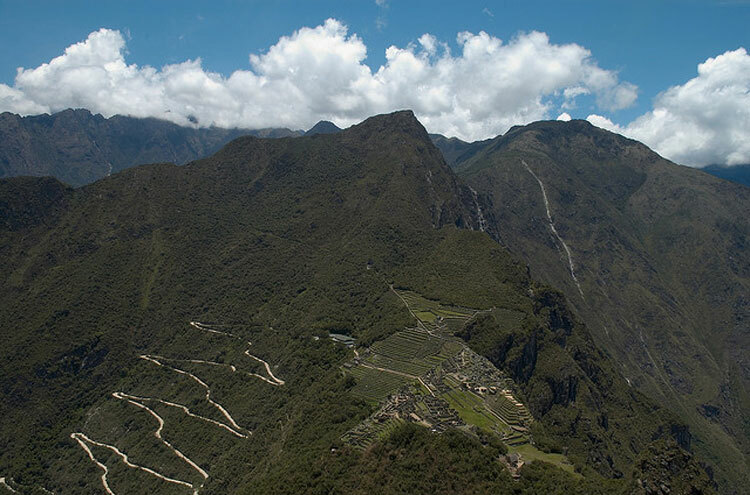 With Cuzco as the Inca capital, the road system in its area was particularly extensive, with a huge amount of trekking along the ancient systems available today, including of course the world-famous Inca Trail to Machu Picchu. 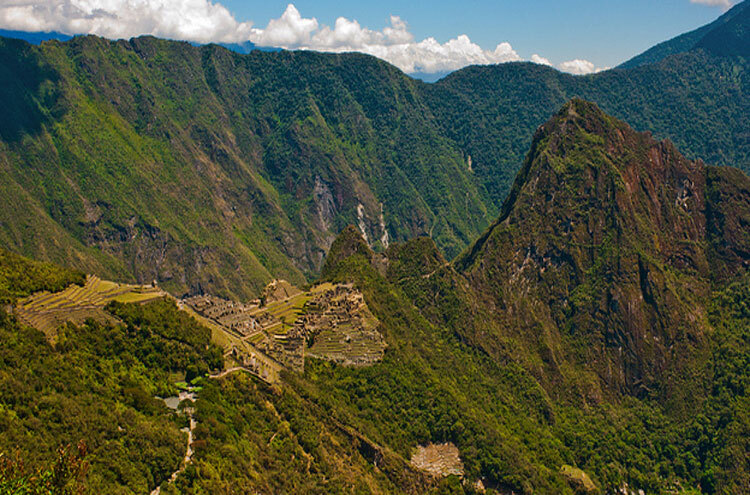 Despite the encroachments, the lost city of Machu Picchu remains a miraculous place, perched at 2,400m on its Andean shoulder high above the Urubamba river, nestling around the iconic (sorry) Huayna Picchu rock spire. The origins and purpose of the site are still controversial. The consensus now appears to be that, rather than the stronghold of the rebel-refugee Incas from the Spanish, it was a lost city-province that managed to remain concealed from the marauding conquistadors: not just Machu Picchu itself, but other towns, forts, and of course roads. And that the city was primarily a sacred site rather than a stronghold. 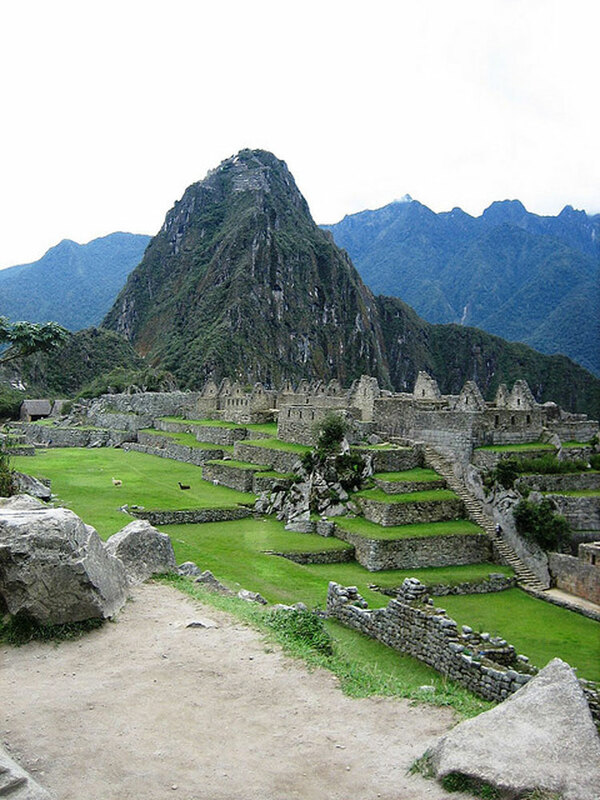 Walking in to Machu Picchu is one of the most moving (even spiritual) and thrilling journeys you can make - albeit tough. All routes involve crossing high(ish) passes in steep, tough mountains. Altitude will at a minimum make you suffer a bit on the higher routes. 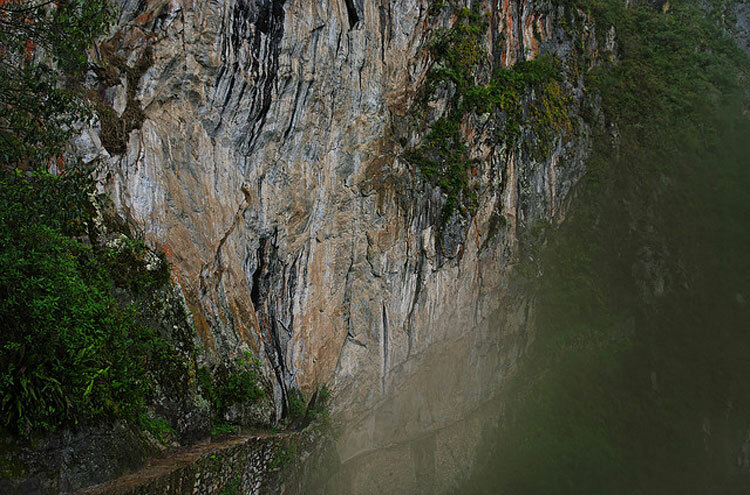 The scenery ranges from huge views across high Andean ridges towards giant snowy peaks (indeed, you are right in under them on some of the trails) to deep gorges crammed with steamy jungle. 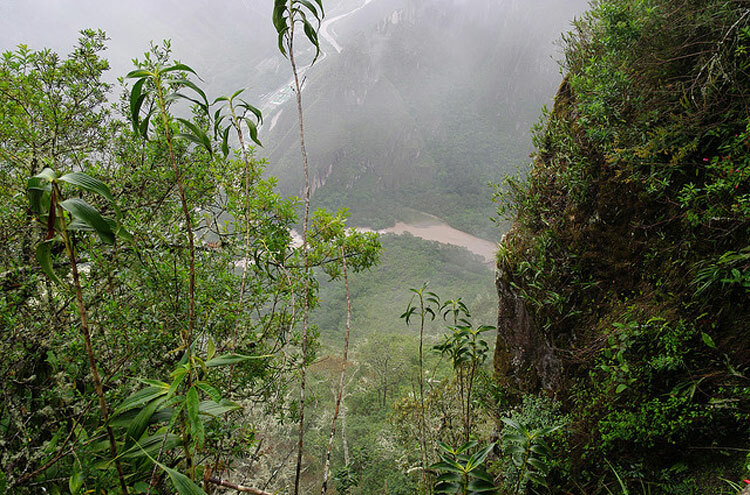 Climb vast puna slopes - the treeless mountain-grassland - to the wild cloud forests of the high Andes. 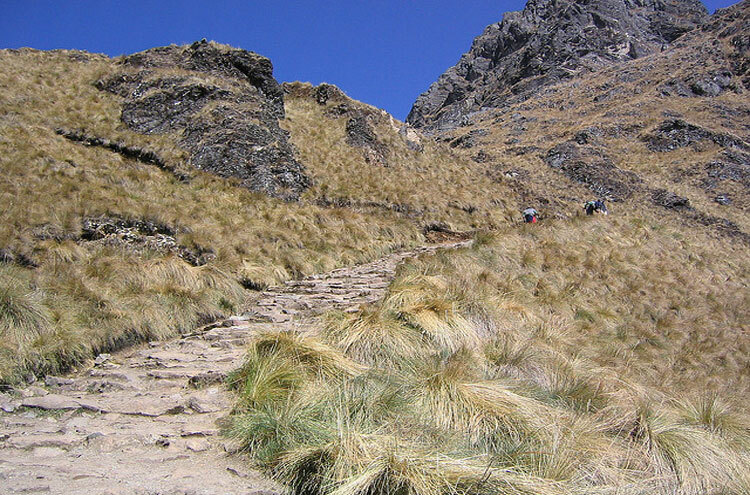 The Classic Inca Trail passes through one of the few remaining areas of indigenous Andean Polylepis forests during the ascent to Dead Woman's Pass. 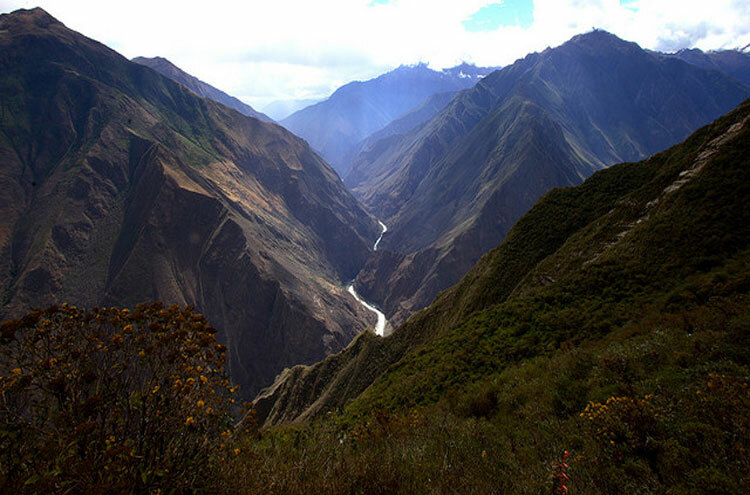 Due to the massive range of altitudes (and thereby in climates), Andean flora and fauna boasts incredible diversity. 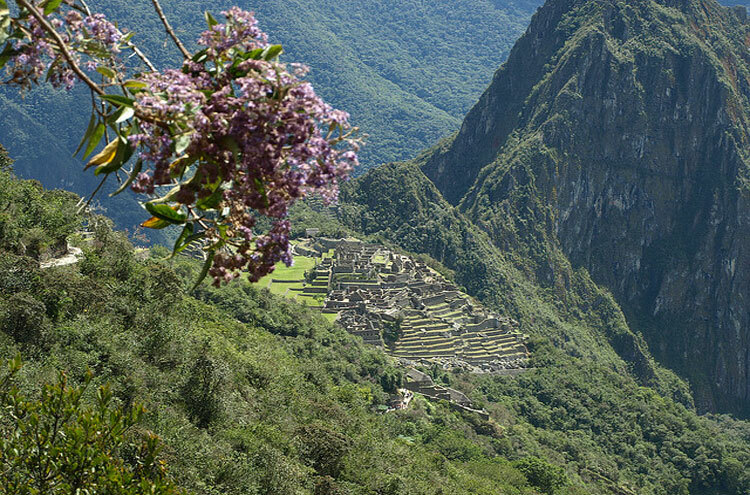 The Machu Picchu Historical Sanctuary is a UNESCO World Heritage Site for its wildlife as well as its remains: 200 species of orchid, 400 species of butterfly, 700 of bird. In fact, the Sanctuary hosts almost 5% of the world's known bird species. 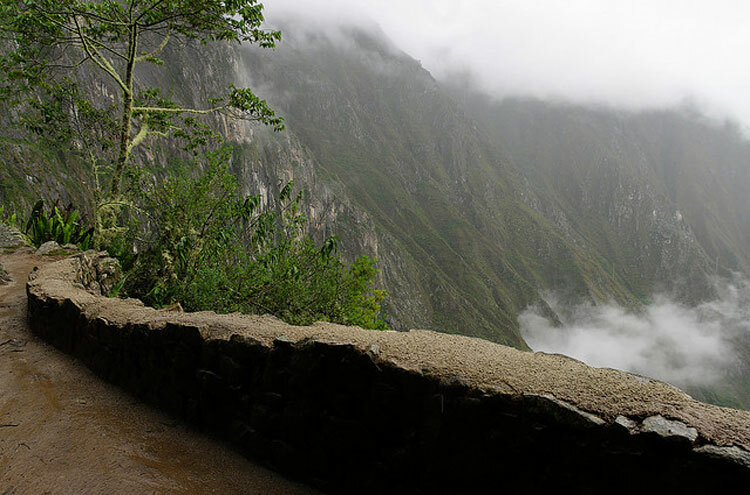 Most Inca Trails start from the spectacular railway from Cuzco past the foot of Machu Picchu. 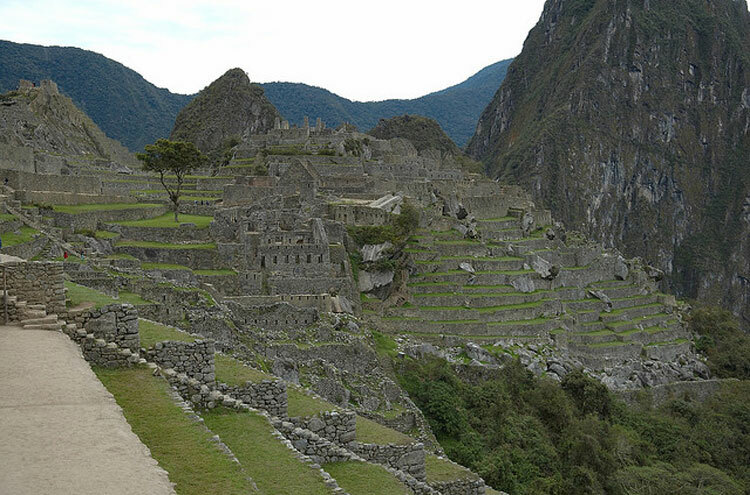 There are numerous options for walking into Machu Picchu. 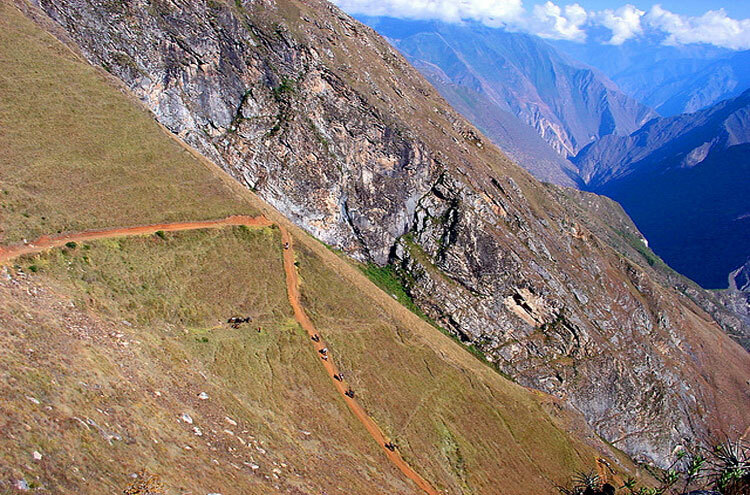 The 3-4 day, 43km, Classic Inca Trail starts at km88 on the railway. A straightforward walk to the trail village of Huayllabamba is followed a couple of tough days in the highlands, crossing passes up to 4,200m high. Variations on the classic trail involve getting off the train earlier for walk in along the Urubamba river. 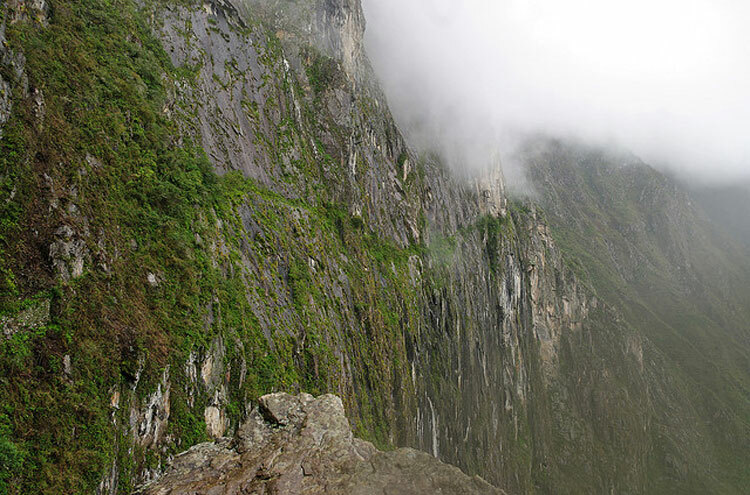 The Shorter (1 - day) Trail: from Chachabamba (km104 on the railway), an Inca site, cuts up to join the final section of the Inca Trail, a steep walk. A shame not to do a longer trail having got this far. Permits are needed for this walk - book well ahead. 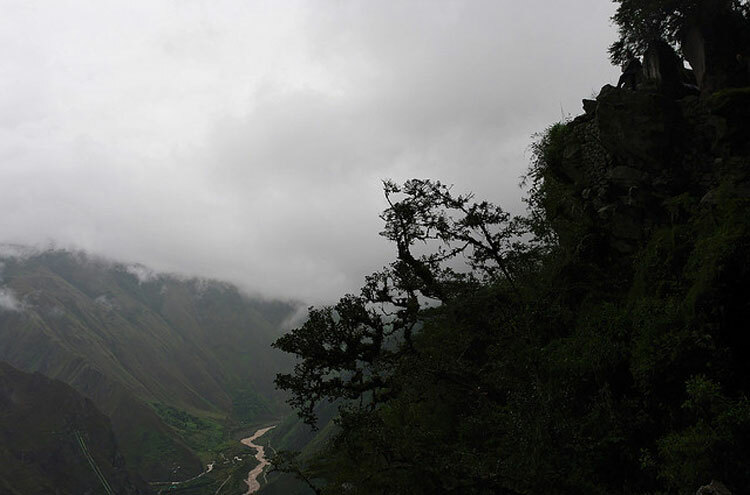 The Silque Valley: this six / seven day hike (from Chilca at km77 on the railway) follows a lovely valley with old farmland, before crossing a high pass and dropping back down to join the Mollepata/Salkantay Trek at the Paucarcancha ruins, and the main trail at Huayllabamba. Not many foreigners, a huge boon! The Mollepata (Salkantay) Trek (and then Classic Inca): this six / seven day trek starts at a different place, Mollepata, to the west of Cuzco. Superb walking takes you over a (very) high pass (close to 5,000m) near sacred, snowy, thrilling Salkantay, before dropping to join the Silque Valley Trail at the ruins of Paucarcancha and finally meeting the Classic Trail at Huayllabamba. (Permits required - book ahead.) See also its variant, the Santa Teresa Trek. You will need to camp out on these longer treks, so you will need to bring tents, sleeping bags, cooking kit and food as well as your personal possessions. The experienced and tough can do some of these routes themselves (organised expeditions are now compulsory on some), but most visitors hire a guide and/or porters. See "Practical Information" below. Cuzco, the ancient Inca capital, is high (3,360m), so take time to acclimatize. There is plenty to see and do, and some great shorter walks in the area to get you going (see the Trailblazer guide for ideas). 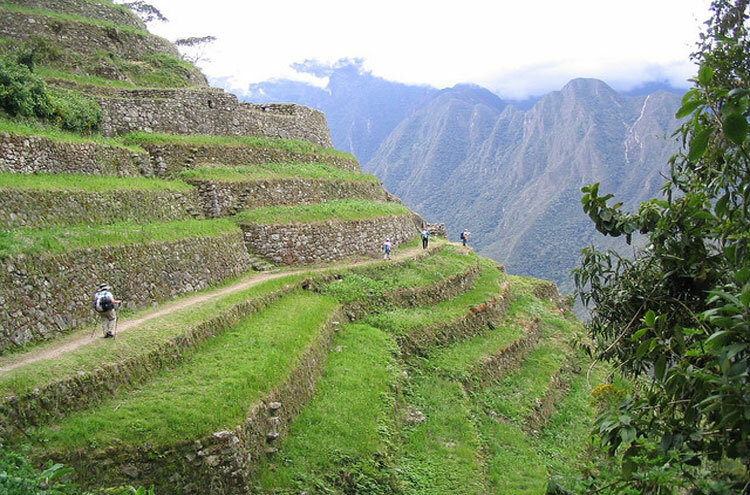 The best known is what we call the Cuzco Ruins Trek, a route that takes in many important sites in the vicinity. There are also fine hikes around the Sacred Valley and further afield in the Cuzco area (see the Trailblazer guide for ideas): all accounts and photos are welcome! An excellent (but demanding) example is the day trek to the high ruins of Hochuyqosqo. This whole area - the "Sanctuary" - and local culture, as well as the Inca remains, is extremely vulnerable. Think carefully about everything you do. See our responsible travel page, and read up carefully in advance.